Device for Diluting Concentrated Product to Working Strength. and c) a unidirectional hole-cutter/membrane-piercing arrangement deployed across the diameter of the cylindrical device with its cutting/piercing edges occupying the first docking port. The product is transferred from a sealed donating container to a receiving container by screwing the receiving container into the second docking port and subsequently pressing a sealed donating container into the first docking port. 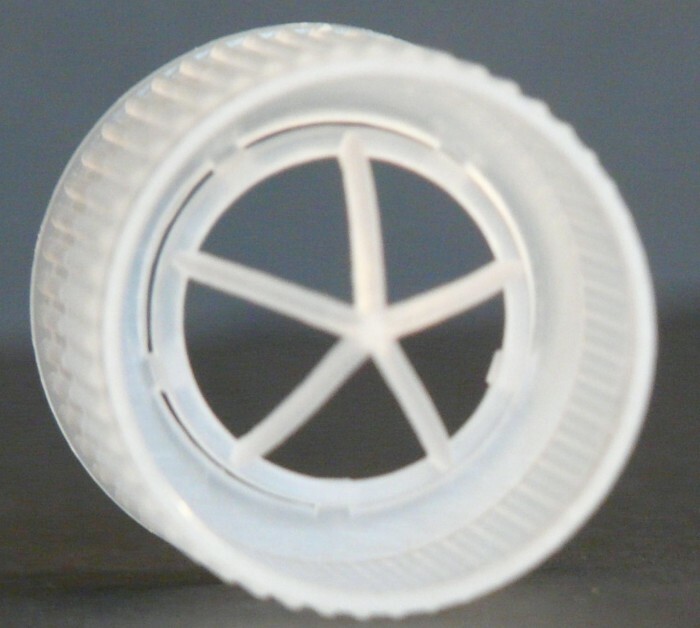 The seal on the donating container is punctured by the hole-cutter and releases the product for transfer through the cylindrical connector to the receiving container. 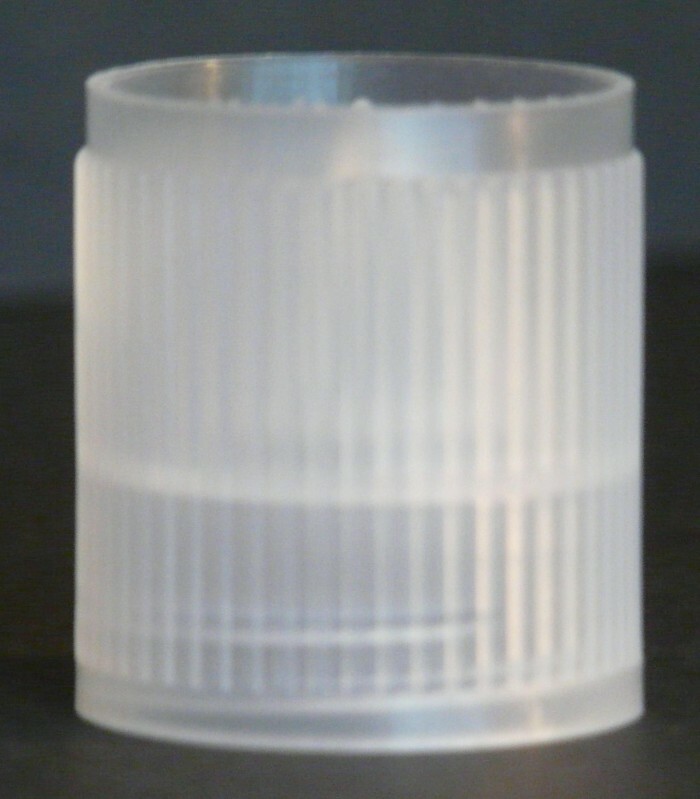 The donating container docking port may be closed with a removable cap and the cylindrical connector used as a donating container screw cap. In use the cylindrical connecting device is screwed down onto a re-usable spray pump vessel, with the spray-pump head removed and filled to the required volume with liquid/water. 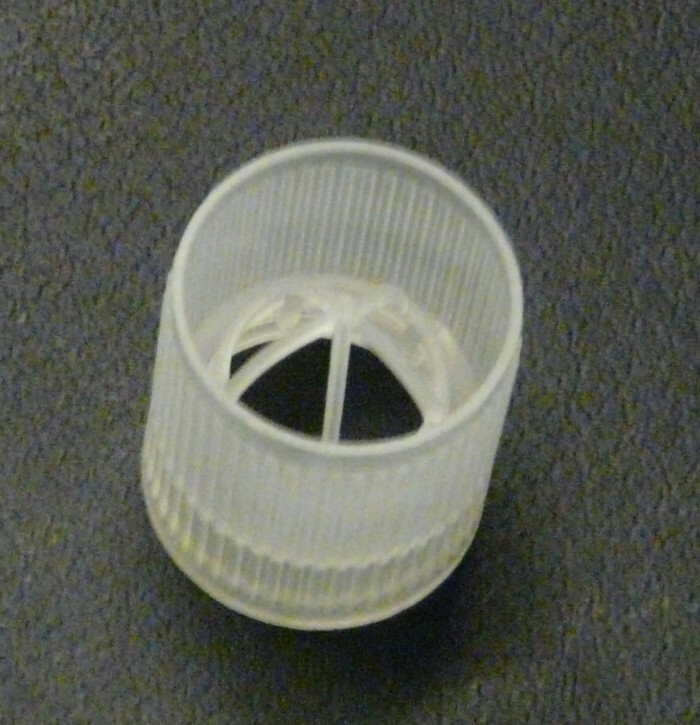 The neck of the membrane sealed refill container, which contains a known amount of material to be transferred , is pushed down firmly onto the hole cutter/piercer until the hole cutter/membrane piercing arrangement partially penetrates the membrane across the neck of the refill container, thus releasing its contents to pass through into the spray pump under gravity. The design of the membrane piercer is such as to stop fragments of the pierced membrane leaving the refill container. Following dissolution or dilution the connecting device is removed from the spray-pump vessel and the spray-head is refitted. An accurately known concentration of the material transferred is achieved in the spray-pump vessel without the risk of the transferred material coming into contact with the operator. The spray-pump vessel and connecting device are re-usable. Company is looking to dispose of this patent by sale or licensing with royalties. site (www.eradic8.eu) under the name One Shot. Market potential for the right concentrated product is high. There are no specific conditions for a sale or license (negotiable). 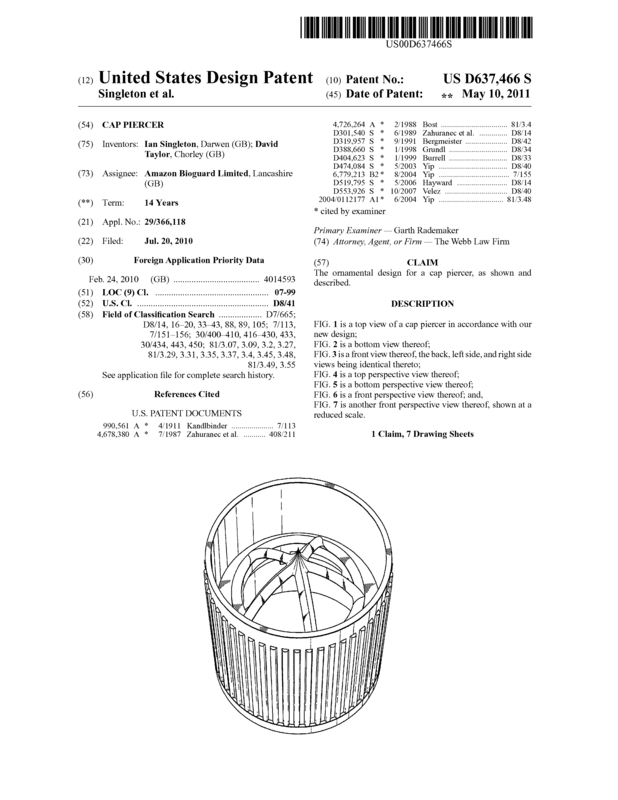 Other related IP: US design Patent (USD637466); UK Patent (GB2471104); UK registered design (GB4014593); European Community Design (RCD001734047) Production tooling and prototypes available. PRODUCT BENEFITS: Concentrated (dilutable) product transport costs reduced by up to 80%; Hazardous materials can be diluted or dissolved without contact with operator; reactive materials may be delivered to application means without exposure to atmosphere. 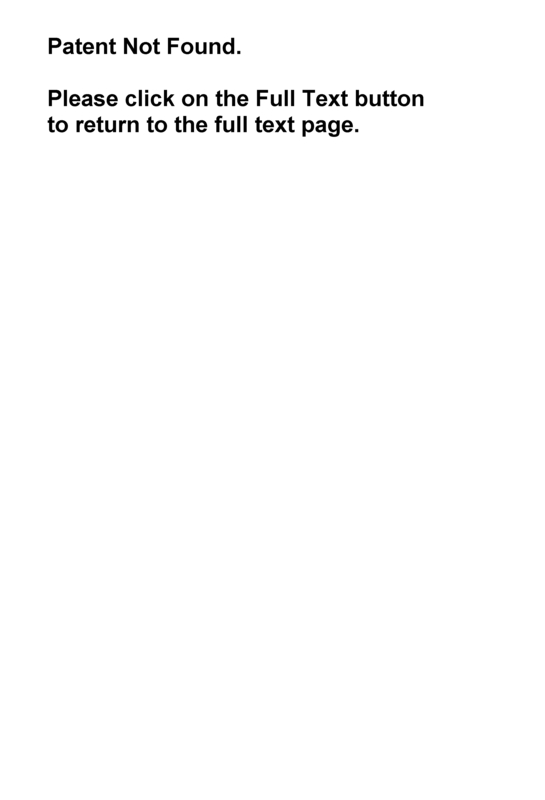 Page created at 2019-04-25 10:19:03, Patent Auction Time.